Veteran actress Dimple Kapadia‘s nephew Karan Kapadia is all set to showcase his acting skills in the upcoming crime-thriller ‘Blank’. The trailer of the film was unveiled just a few days back and we must say that the film looks quite promising. Now, Khiladi Akshay Kumar is all set to shoot for a special track for the film. Yes, the actor along with his brother-in-law Karan will be shooting for the film’s promotional track. 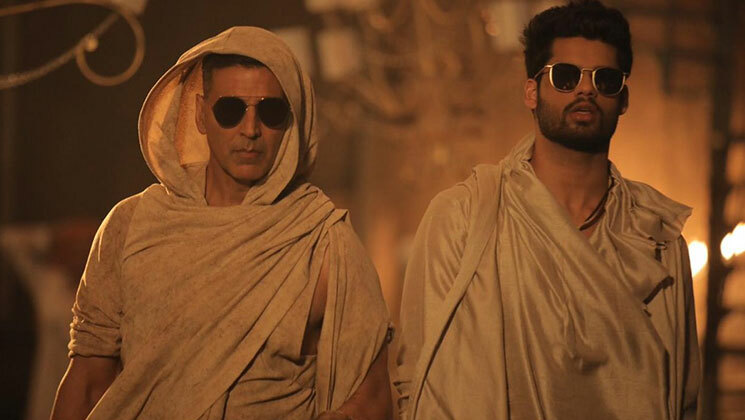 The ‘Kesari’ actor was also showering praises on Karan’s terrific acting prowess. Well, watching these two handsome hunks dance together will be a treat. Don’t you guys agree? And also, we are wondering if Sunny Deol will be joining them in this special song. Helmed by Behzad Khambata, ‘Blank’ also stars Sunny Deol and Ishita Dutta in a pivotal role. Bankrolled by Dr Shrikant Bhasi, Nishant Pitti, Tony D’souza and Vishal Rana, ‘Blank’ is all set to hit the silver screens on May 3.